Kerry TD Danny Healy-Rae has said storms were worse hundreds of years ago than they are now - insisting it rained for two years in the 1740s. The Independent TD reiterated again that he does not "subscribe to the idea that man can influence climate". The TD, who was elected last year, stood firm on his beliefs around global warming, telling an Oireachtas committee yesterday that storms took place long before cars were invented. Speaking to the Irish Independent last night, following the meeting of the Oireachtas committee on Culture, Heritage and the Gaeltacht, Mr Healy-Rae referred to adverse weather conditions in the 1700s and 1800s. "I don't believe any human has control over the weather," he said. "There were floods long before it [cars] too, I don't subscribe to that notion [of human-influenced global warming], I honestly don't. "There were probably worse storms, they were worse," he added, referring to the night of the Big Wind in 1839 to back up his claims. "There were churches knocked in Armagh and in Castlebar and there was mass destruction all along the west coast, 300 people were lost in that storm and they were only ones that we knew about. "They are facts and you can go all the way back to the 1740s when there was rain for two years." 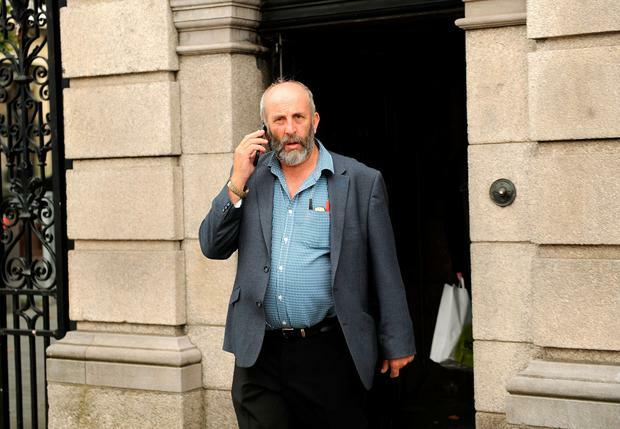 Mr Healy-Rae said experts in the industry were making a substantial living from climate change and he was unhappy with how the Government was dealing with the issue. He said the current emissions targets for 2020 and 2030 were unrealistic and putting a burden on the citizens of the country. The TD said a further recession could be on the cards because of the measures being taken. "I believe that climate change is one of the biggest industries in the world, they're making money out of it," he said. "I don't subscribe to this climate change thing and the way it is being meted out. "We are being very unfairly treated by the Government in order to meet the regulations. "We won't be long going back into a recession if we keep up with that," he added. Mr Healy-Rae also criticised the stringency of EU regulations on farmers and said that issues with flooding of rivers was due to farmers being afraid to clear them out in case their EU grants are taken away. "For the past 20 years, if farmers touched a river - in some cases you may get permission - they'd get such a fright and that's why they haven't touched them and they're all blocked," he said. Last night was not the first time Mr Healy-Rae has spoken out on the issue of climate change. Earlier this week he said he rejected the idea that climate change caused Hurricane Ophelia. He also made headlines last year when he said in a Dáil debate that "God above is in charge of the weather and we here can't do anything about it". In an interview with 'Hot Press' magazine, he also said that Noah's Ark backed up his claims on climate change. "The facts are there and history proves it," he said. "We had the Ice Age, we had Noah's Ark, we had all those stories," he added.